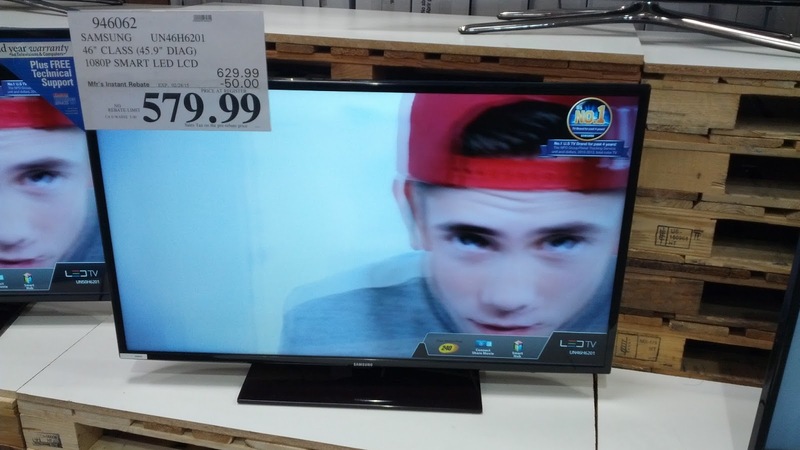 It's almost a given that every home has at least one television. There'll be a main tv in the living room, family room, or any other common area and then there'll be other tvs around the house like in the separate bedrooms. 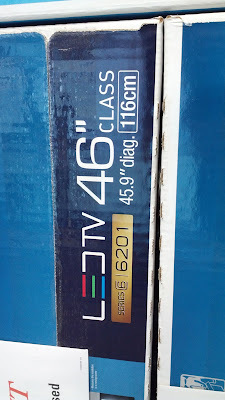 The Samsung 46 inch UN46H6201 HDTV makes a great tv for the bedrooms in your home since it's a smaller tv perfect for smaller spaces . You can actually have more than one of these for your house: 1 for the master bedroom and 1 for your kid's bedroom. I know I hate it when the kids hook up their Playstation or Xbox on the main tv in our family room. Now they can play their video games in their own bedroom and I don't have to watch their kiddy-type shows either. There's also the 50" version of this same tv as well if you like the Samsung 6201 series but in a larger size. If you still want something bigger, then you might even want to check out the Samsung 55" curved tv since it has that distinct curved screen which is the latest technology in televisions. 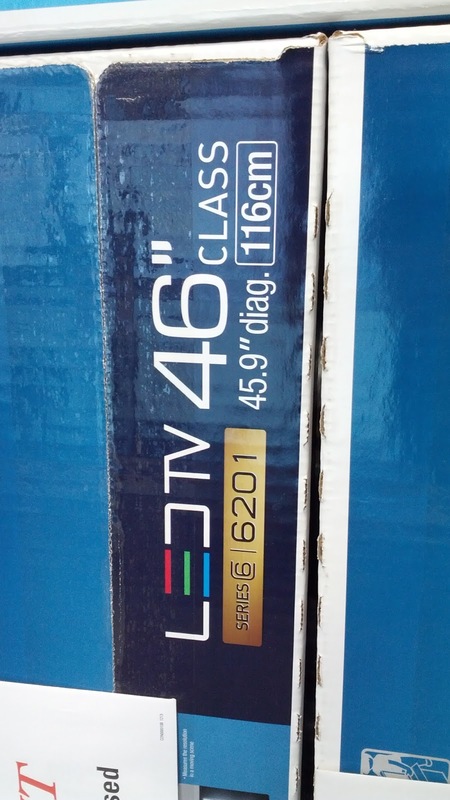 Samsung 46in UN46H6201 HDTV makes for a great secondary tv for a bedroom or for gaming. 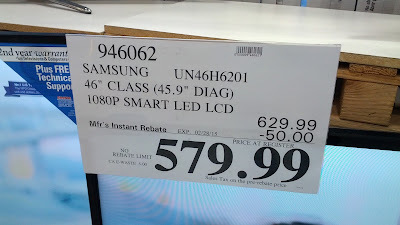 Samsung 46in UN46H6201FXZA HDTV at Costco with rebate. Explore shows, movies, apps and social media on the intuitive and intelligent Samsung Smart TVs. Browse a new world of TV entertainment quickly and simply with a powerful processor and helpful tools like S Recommendation. Enjoy everything you love in one place. The Smart Hub organizes your entertainment into 2 easy to use panels: OnTV and Apps. Effortlessly navigate through movies, live TV, browsing, streaming content, and more. Receive personalized TV and movie recommendations based on your own preferences and what's popular and trending. View every detail of action-packed sports and movies with Clear Motion Rate 240, an excellent level of motion-clarity. The Samsung CMR uses the frame refresh rate, image processor speed and backlight technology to measure fast action. With Wide Color Enhancer Plus, you'll witness a wider spectrum of colors on your screen, just like the director intended. You'll enjoy enriched colors while watching your favorite shows, and movies, even if it's older, non-HD content. The screen mirroring feature allows you to mirror your phone or other compatible mobile device's screen onto the TVs screen wirelessly. This feature allows you to use your big screen television instead of your devices smaller screen for showing content, media playback, or other function. Browse the web on your Smart TV to find the latest content. Enjoy everything from social media browsing, online shopping, entertainment news and the latest YouTube hits. Catch up on the latest content, and then go back to watching TV Experience a great picture with no compromises with Samsung 1080p Full HD. With a resolution twice as high as standard HD TVs, you can catch all the details of your favorite games and films. Decoding with DTS Premium Sound | 5.1 processing - Delivers immersive 5.1 surround sound from any DTS encoded content and converts any two-channel audio content into a 5.1 DTS surround sound track for discrete surround sound playback. Experience surround sound with maximum bass response, dialog clarity, and consistent volume levels from all your content, including TV programming, Blu-ray movies, games, and streaming.